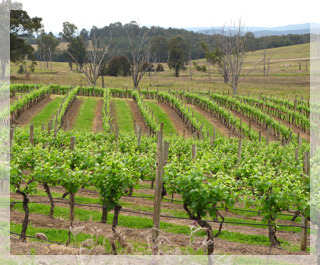 Vitibit Pty Ltd is a Hunter Valley based viticultural consultancy. Vitibit offers independent viticultural advice for small, medium and large vineyard enterprises throughout the Upper and Lower Hunter Valley, with services also provided in other parts of NSW, Tasmania and QLD on request. Vitibit is fully insured carrying current Professional Indemnity, Public Liability and Workers Compensation Insurance. A visit to your site to conduct an initial assessment allows a program or support package to be tailor made for each situation. This may be anything from weekly to monthly visits during the growing season to a spray programme with ad hoc support. Alternatively, you may chose individual services as required. 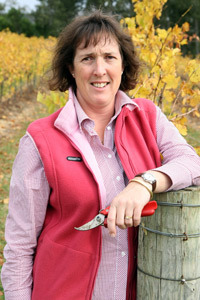 Liz Riley is the owner and operator of Vitibit Pty Ltd. She commenced viticultural consulting in 2000, after 8 years of working in the wine industry on a local, interstate and international basis. Liz has a Bachelor of Applied Science (Wine) from Roseworthy Agricultural College (now a part of the University of Adelaide) and is also an Australian Nuffield Farming Scholar. This prestigious scholarship enabled Liz to travel to Europe and North America in 1997 to investigate “Sustainable Agrochemical Use in Viticulture”. She was also the Hunter Valley Wine Industry's 2011 Viticulturist of the Year and more recently the 2017 ASVO Viticulturist of the Year. While Vitibit Pty Ltd has primarily serviced the Hunter Valley over the last 18 years, Liz has also provided consultancy services in the Granite Belt (QLD), Hilltops and Orange (NSW) and into Tasmania. Liz is currently providing expertise to Wine Australia in the area of Agrochemicals, and is involved in industry reference group for the Fungicide Resistance Project at SARDI. Liz is an active member of the wine industry and is currently an Associate Member and Viticulture Sub-committee member of the Hunter Valley Wine Tourism Association and a professional member of the Australian Society of Viticulture and Oenology. Liz remains as a special qualifications Director on the board of the Australian Wine Research Institute, a role she commenced in December 2011. She is also currently a vice president of the NSW Wine Industry Association and is the Chair of the R&D committee. While at Southcorp Wines from 1993-2000, Liz had a major role in the national viticultural team, with a focus on Grape Quality Specification. This was followed by three years working across NSW as the Regional Viticulturist (97-99). She has also been a vineyard owner in the Hilltops region of NSW. Liz has also contributed to ASVO workshops with the presentation of papers on Grape Quality and the Management of Bunch Rots, and is also a contributing author to the revised edition of Viticulture Volume 1. Report for the Australian Nuffield Farming Scholars Association “Sustainable Agrochemical Use in Viticulture” 1996. Riley, L. (1997) “Load Parameters at the Winery Weighbridge” In: Quality Management in Viticulture” Proceedings of ASVO Seminar (Eds R. Hamilton and P. Hayes). Mildura, Vic. ASVO/Winetitles : Adelaide pp. 5-6. Dry, P.R., Maschmedt, D.J., Anderson, C.J., Riley, E., Bell, S-J. & Goodchild, W.S. (2004) “The Grapegrowing Regions of Australia” In : Viticulture Volume 1 : Resources. 2nd Edition. Edited by Dry, P.R. and Coombe, B.G. Winetitles. Riley, L. (2008) “Practical Management of Bunch Rots in a high risk environments” In “Breaking the Mould - a pest and disease update” Proceedings of ASVO Seminar (Eds K. Degaris, G, McCorkelle and S, McLoughlin). Mildura pp19-23. ASVO.